Detroit Synergy hosts a monthly social event called Third Thursday at various bars throughout Detroit. Oddly enough, it's done on the third Thursday of each month. 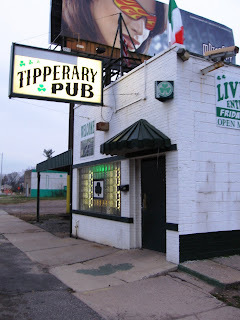 This month, they will visit the Tipperary Pub (8287 Southfield) in Detroit's Warrendale neighborhood. Everyone is invited to attend. The people are great and there will be drink specials throughout the evening. The fun starts at 6:30 p.m. I hope to see everyone there.